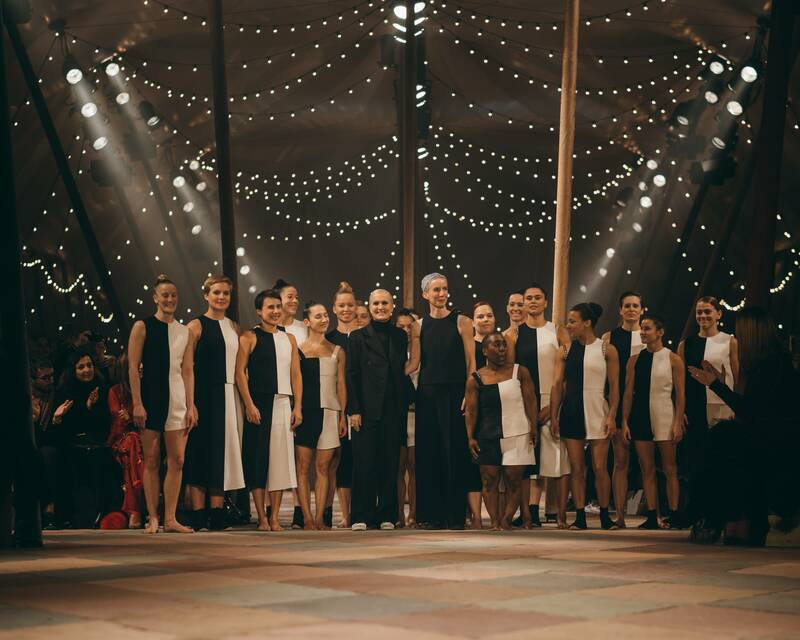 LONDON – East-London based all-women acrobatic theatre troupe Mimbre was recently invited by Maria Grazia Chiuri, Creative Director of the Dior women’s collections, to participate in the spring-summer 2019 haute couture show at Paris Fashion Week. Maria Grazia Chiuri wished to give form to the inspirations that shaped the creation of this haute couture collection in constant pursuit of the surprising poetry that springs from trust and the way bodies interact, with a performance by Mimbre developed especially for the occasion. 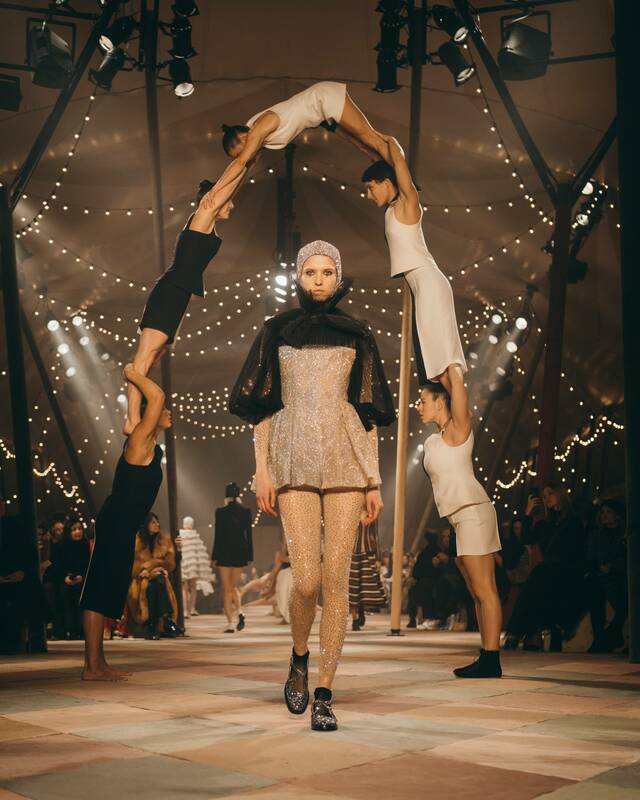 Set in a traditional circus tent setting was designed by Shona Heath and Bureau Betak, a total of 18 female acrobats took to the runway for the specially commissioned and choreographed performance for Christian Dior’s Spring Summer 2019 (SS19) show at the Musée Rodin, forming a series of human pyramids and powerful monochromatic shapes to highlight the imagination that inhabits the pieces in a collection celebrating the circus and its links with costume, fashion and art. This follows the fashion house’s successful partnership with choreographer Sharon Eyal last year. On Monday, they once again sought to use performing art forms to not only inspire their new collection, but to help present it on the runway. Mimbre co-artistic directors Lina Johansson and Silvia Fratelli choreographed and performed respectively, with assistant choreography by Mélissa Colello, and were joined by 17 other female acrobats and acro-balance specialists from across the world to create this memorable piece. With a collaboration like this, who knows how performing arts and fashion will continue find interesting intersections to collaborate and work hand in hand, forging new artistic pathways and innovations for the future?